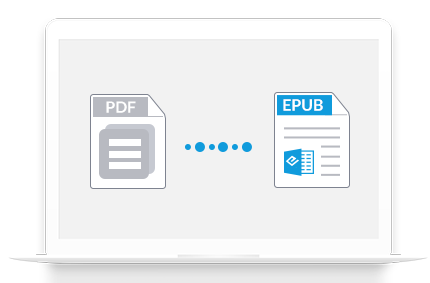 Wondershare PDF to EPUB Converter for Windows lets you convert PDF to EPUB eBooks while keeping the original text, graphics, images, hyperlinks, and layout. It also lets you customize font size, background color in the output EPUB file. 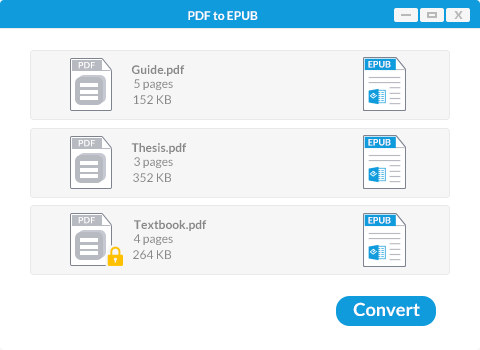 *Users can also enter the right password to convert an open password protected PDF to EPUB eBook. Convert as many as 200 PDF files at a time. Convert selected pages from a PDF file flexibly. This is a great solution to convert PDF to EPUB. With only a few steps, it successfully changed my PDF into EPUB format and the quality was quite good. This converter is the best tool I’ve tried. It offers users flexible options and even lets you convert multiple PDF files at a time. Time saving!